Finished! Woop woop! 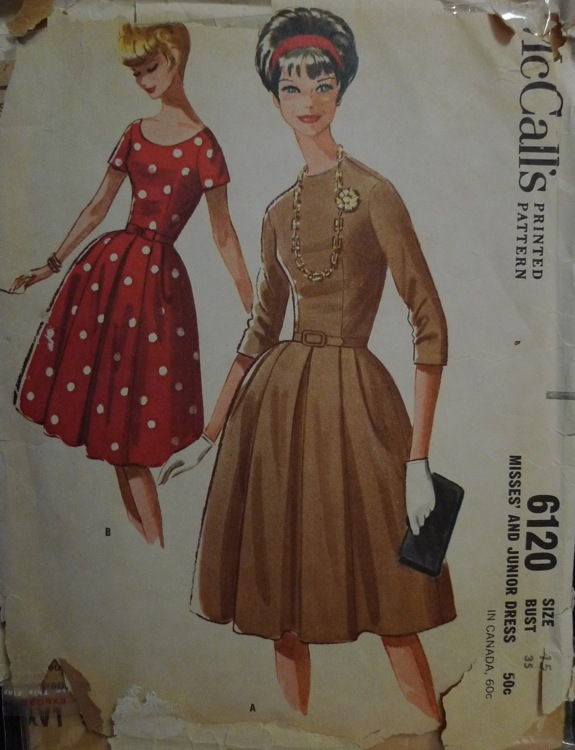 The pattern is McCalls 6120, but I don't know what date it's from as I can't find it on the Vintage Sewing Pattern Wiki - any ideas? 1960 maybe? I'm calling it The Birthday Party Dress - it's not my birthday and I'm not having a party, but for some reason wearing it makes me feel like a precocious girl itching to get to the party and do the mashed potato. 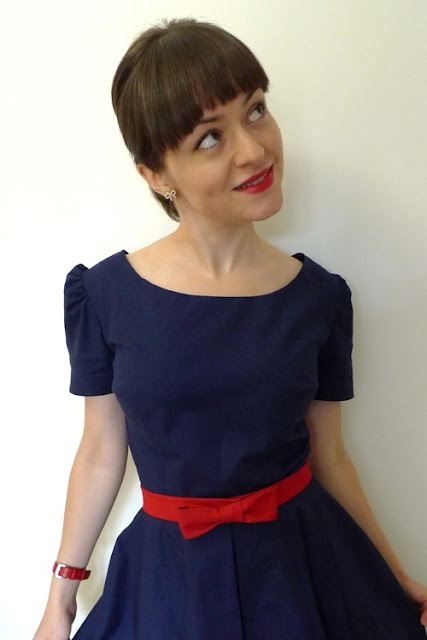 Man, it feels so great to have another vintage sewing project under my belt. 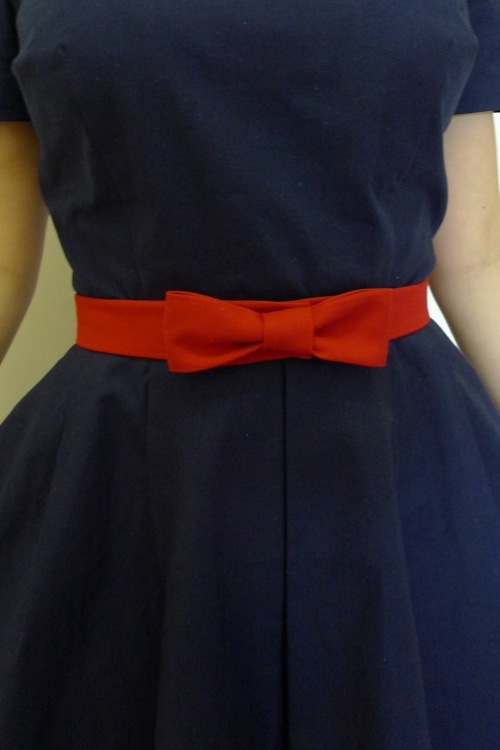 And a red bow belt at that! 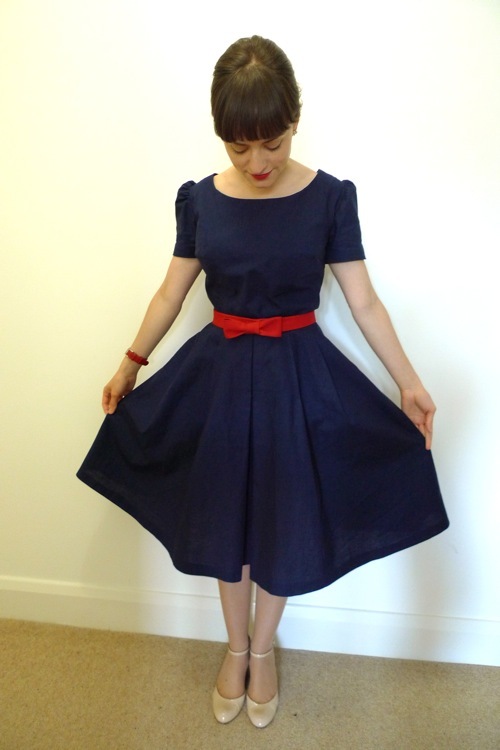 Made from leftover fabric from my Ceylon dress. The project came together pretty easily, up until the point when I came to insert the zip in the back and noticed a freak 2 inch discrepancy on each side between the centre back of the bodice and the centre back of the skirt - see above. I couldn't understand this as I'd folded the pleats quite accurately. Maybe it's a feature of inserting a lapped zip? 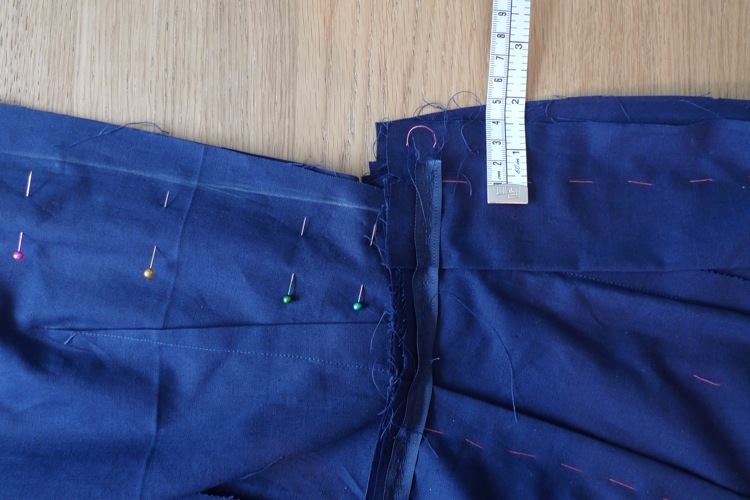 But it didn't make any sense to me, so I had to perform some jiggery pokery on the pleats to pull the skirt edge in to meet the bodice. And after that I couldn't face the pressure and confusion of the lapped zip instructions with all its references to laps, flaps and semi-flaps, so I stuck to what I knew and went with a centred zip. I know, I know, living on the edge! 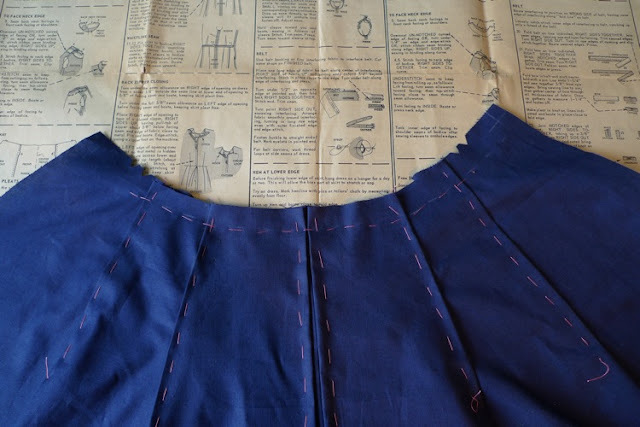 I learnt how to make pleats! The toil involved in these babies made me feel extremely guilty about the fact that, when I was at secondary school, my mum used to tack - yes, tack - the pleats of my school uniform skirt up every Sunday night before ironing them. Sheesh! She really shouldn't have bothered, particularly because as a teenager experimenting with ways to attract boys I'd roll my skirt half way up my thighs anyway, thus ruining the pleats and my mum's hard work. Oops. I particularly like the bow belt and am planning on making another one in the yellow floral fabric leftover from my first dress to give it another look. Blogger meet up with Debi!